Investing in new technology may not seem like the best cause of action when the installation costs your business money. However, outmoded systems in your family business could be costing you thousands of pounds in lost efficiency. Audit your family business now and look for areas where new technology could improve efficiency and reduce costs. In a downturn or recession many businesses instantly slash their marketing budgets. This is shortsighted and misunderstands how your business will survive through the downturn. Reductions can be made, but your family business must still market its goods and services. As your enterprise is chasing a smaller consumer base, attracting them to your business is vital. The 80/20 rule is very important to appreciate in a recession or downturn. With a credit crunch putting pressure on the disposable income of consumers, the 80/20 rule states that 80 per cent of your family businesses income comes from just 20 per cent of its customers. Maintaining customer loyalty through a downturn is crucial to keep your business operating, but also to ensure it has customers when the recession is over. Cutting staff levels is certainly prudent for all family businesses if they can identify duplication of skills. However, if your family business has a number of key members of staff, enhancing their skills to help your business weather a credit crunch or recession is money and time well spent. The additional skills gained now will come in very handy when your markets expand again. Every family business knows that cash is king, this is none more so than during a recession or downturn. Ensure you have in place systems that enable you to closely monitor every aspect of your cash flow. This will give you time to react if your business is heading towards a cash crisis. Every business is in a recession together. Therefore, talking to your suppliers to gain a better deal not only reduces the costs to your family business, it also enables your supplier to secure their orders as well. Don’t simply see your suppliers as just another invoice to pay. They are your commercial strategic partners. In a recession or downturn developing these relationships will translate in real commercial savings. With less money in their pockets your customers will be using more stringent tests before they decide which businesses they will buy their goods or services from. Time and again consumer research has revealed that high levels of personal service is what finally enables a customer to make their buying decision. Try and improve the overall customer service that your family business offers and reap the rewards. The price of goods and services is certainly a factor in the buying decision of your customers. Everyone likes a bargain after all. 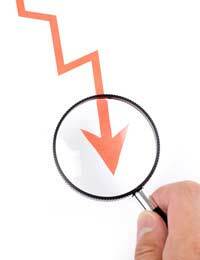 Cutting prices during a recession or downturn can, though, be a knee jerk reaction. Some price discounting can be useful, but remember that cutting prices for long periods can mean it is very difficult to raise them again when a recession or downturn is over. Think through your motivations for cutting prices, and analysis the potential long-term impact. If your family business holds a great deal of stock, one of the most effective ways of reducing costs to better manage a downturn is to reduce your stock holding. Many business hold much more stock than they really need to. Perform an audit and try and adopt the just-in-time model of stock control. You will of course need to ensure your suppliers can also adopt this stock control method before you move your family business to this platform. The Internet is now an established component of the consumer landscape. As such, every business must have a website. In a recession when the number of consumers buying goods or services contracts, attracting the customers that want to buy to your website becomes very important indeed. A fresh and engaging website is vital to this aim, as is high levels of effective SEO (Search Engine Optimisation). As most of your customers will find your website via search engines, improving this aspect of your website is absolutely essential.